A Recruitment Management System (RMS), also known as an e-recruitment or online recruitment system. It is a multi-component software tool designed to computerize the processes involved in finding, attracting, assessing, interviewing and hiring new recruits. Now I’ll discuss the flow of each sub-module of recruitment management system one by one. The Dashboard is a user-interface that is a source to organize & present information in (visual manners) a way which provides users ease to read. It gives a visual overview about major functions of software. These visual panels are easily understandable by end users. Candidate Section Sub-module deals with all the functions related to the candidates. It includes the online registration of candidates. A candidate can also register itself from integrated website. Central database system keeps online record of all candidates workforce. 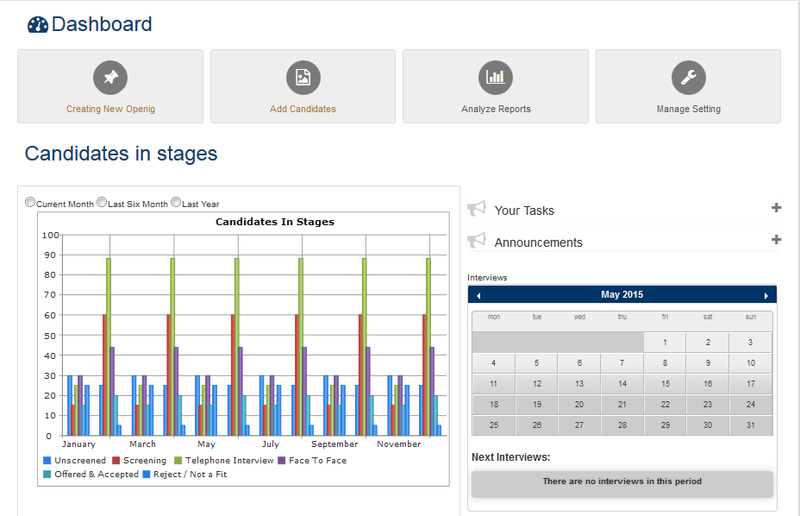 Job module basically deals with all functions related to job section in Recruitment Software. You can add new ads of jobs. You can update previously posted jobs announcements. You can delete them as well. The primary job of the Recruitment Management System (RecruiterBox) is centralizing all the information about a company's recruitment efforts in a database. Applicant data is either collected from internal applications (through the front-end), located on the company website or is extracted from applicants on job boards. In the end we can conclude that recruitment software is the new innovation in IT field. Web Based recruitment software has flourished, new traditions in the computer field. In order to make your survival unbeatable you should go for it. SolutionDots will feel pleased to help you in this regard. So, feel free to contact!